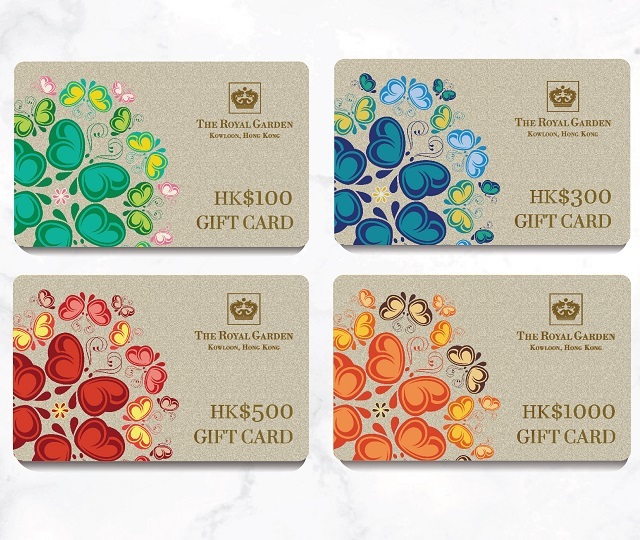 The Royal Garden Gift Card is a perfect gift for friends, family or business associates, whether celebrate a special occasion or simply indulge in the exclusive experiences. Unique and elegantly packaged, the Gift Card may be used for a culinary delights in our award-winning restaurants, a relaxing spa treatment, or an overnight stay — all the exclusive experiences only The Royal Garden can provide. And for your personal convenience, you can choose from denominations of HK$100, HK$300, HK$500 and HK$1,000. There's no better gift around! When it comes to giving from the heart, think The Royal Garden’s Gift Card! It's a fabulous present for anyone - and the best way to put a smile on their face.